I don’t believe being Jewish is a complication in the mind of Bernie Sanders. If anything I believe it to be a non-factor. What it does do however is bring to the forefront the complications facing the Jewish community and very possibly one of the root causes of anti-Semitism. So you have this 74 year old Jewish man from Brooklyn, a man who may or may not wind up being a serious candidate for President, fresh off the first victory ever by a Jewish American in a presidential primary. It may not have ultimate significance- I jokingly say how the only think Bernie Sanders won was the presidency of New Hampshire-but whether he goes on to become the Democratic nominee, the President, or just slowly fades into the sunset, the fact that he is Jewish is history, and matters to many. However, it also seems to not matter to many and that catches my attention. I recently said that if just once I would hear Bernie Sanders take some pride in being Jewish I might even take a closer look at him. Then it dawned on me. Is that attitude of mine indirectly one of the motivators for those who do not like Jews? There are many communities that want nothing else than to be seen as American only. Recently before the Super Bowl, Carolina Panther coach Ron Rivera spoke about how he would rather be seen as a successful coach than a successful Latino coach. If the fact that Barack Obama’s is a man of color had never become a big issue, no one today could ever say that dislike for him is based on race. Yet here I am, and I assume I am not alone, a Jewish man, turned off by Bernie Sanders not bringing attention to the fact that he is Jewish. 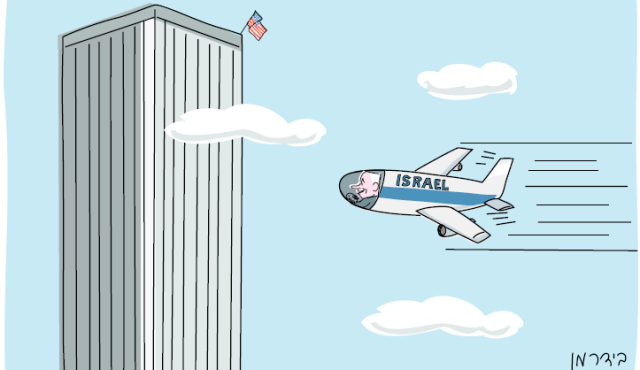 I watch the Republican debates and take notice of the fact that no one mentions Israel more than Ted Cruz. I get a little excited about the fact that front runner Donald Trump’s daughter converted to Judaism and that Hillary Clinton’s daughter married a Jewish man. But when it comes to the Jewish thing, I have no overwhelming glee or enthusiasm over the fact that Bernie Sanders is Jewish. Why? Because he doesn’t seem to either. So going back to the anti-Semitism issue, is it possible that my attitude, an attitude that openly shows pleasure when Jews distinguish themselves, and the desire to, in some way at least, see my Jewishness as a club I am excited to be part of, cultivate a hatred of Jews? Possibly. I know I am not alone. Adam Sandler’s Hanukkah songs alone are almost enough to prove it. I am sure many who are not Jewish enjoy them, but let’s face it, it’s extra fun for us Jews when we find out Captain Kirk or Scarlett Johannson are part of the tribe. I can’t say I don’t respect on some level the approach that says, like me and admire me for my accomplishments as a person first, and vote for me or not as an American regardless of my background, but I also believe there’s nothing wrong in a little pride in where you come from. Especially when the lack of emphasis may be more politically motivated than philosophically motivated. If going into the primaries in New York or other states with larger Jewish populations Bernie speaks more openly about being Jewish, I dare say we’ll have our answer. In the meantime I hope that I hear him say he is Jewish at least once. Not because it would make me vote for him, but admittedly because I prefer fellow Jews who are proud of their heritage, and then I can get at least somewhat excited about the current President of New Hampshire. If Jihadi John is dead that’s great, but….. If we did indeed take out JIhadi John it is of course good news. The problem is it means so little. In 1998 I was living in an apartment in Queens, NY and found myself in the midst of a serious roach problem. 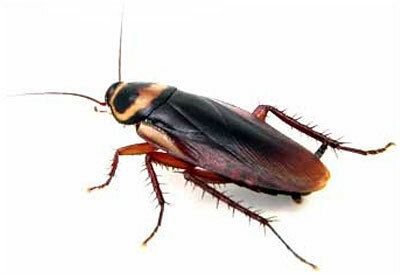 The bad thing about roach control is that when you kill one, you’ve really done nothing to eliminate the infestation. Imagine if I had celebrated killing the biggest roach I had yet encountered. My celebration would have been short-lived once I saw 3 more crawling around the kitchen and a couple in the bedroom. Roaches are quite disgusting creatures. It’s kind of a sick irony that God chose to make some of his most disgusting creations the hardest to eradicate. Nevertheless that is how it is when it comes to roaches, and to an even greater extent, ISIS. Rest assured the roach problem was solved. I managed to get it somewhat under control on my own by cleaning everything over and over again and using every roach killer I could find. Even then the occasional roach would pop up, sometimes accompanied by a friend or 2. It wasn’t till the building identified the location from where the roaches originated and totally cleaned it out and got rid of everything in the vicinity that the roach problem was finally over. Eliminating Jihadi John is like eliminating one of the biggest most disgusting roaches. The problem is there are still countless running around and as they do their numbers grow. It’s more of a victory than anything else, but to celebrate his death as though the problem has diminished significantly is a foolish mentality. Destruction of ISIS has got to be at the source and it has to be harsh and ugly. Anything else and the bad guys will keep popping up. Just like the roaches in my old apartment were only gone when the powers that be destroyed them completely and powerfully at the source. I write to you today in the hope that when the time comes for you to make a choice, a choice that will confirm your legacy not only as an American Senator but as a Jew, that you make the choice you know to be right, not the choice you see as politically expedient. I am of course referring to the vote on President Obama’s deal with Iran. I have heard the arguments in favor of making a deal with Iran. I also understand the difficult position politicians in the Democratic party, particularly Jewish politicians, find themselves in at this time. Your president is calling for your support. Your party is calling for your support. Politics is at play on the grandest scale. Oppose the deal and you risk alienating yourself from the top people in the party who have chosen to maintain their ranks by supporting their leader. Oppose the deal and you yourself may fall far down the political ladder, destroying all you personally have done to achieve your current status. I am not a politician, however I have a layman’s understanding of the basics in politics. Sometimes you have to go against your better judgment and principles in order to ascend in the ranks. I also understand that sometimes doing this causes an internal struggle only another politician can truly comprehend. That being said Senator, as much as I sympathize with the personal challenge you are faced with, this is one of those times when you are required to answer the bell of those who elected you into office and supported you till now. This is a time when the choice you make may determine the future safety not only of your home state but of the entire planet. 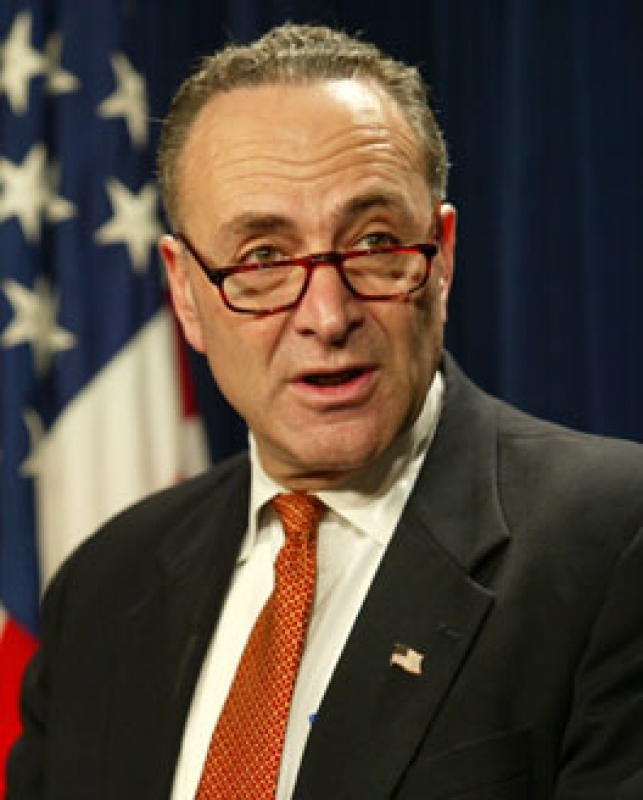 Senator Schumer, your job is to protect and serve the citizens of NY State and to represent us nationally in what is right and safe for all Americans. It is my absolute belief that you know that dealing with Iran is wrong for the country and that the only reason for any hesitation on your part is concern for losing your job and or standing in the Democratic Party. I urge you, as do so many others to do the right thing and oppose what you know to be wrong not only for New York, but for the rest of the country and the entire civilized world. Those of you who were in NY after 9/11 certainly remember how Mayor Giuliani encourage New Yorkers to attend the funerals of fallen police and firemen. The following is the story of my experience at one of these funerals. I recently had the moving experience of attending a memorial service for one of the fallen firemen from September 11th. Mayor Giuliani made a request for New Yorkers to go out and attend these services to insure that a proper number of people would be showing their respects to each individual victim. It wasn’t till after the service that I began to wonder whether his suggestion was meant to be for the victims and their families, or for the many common citizens who were able to show up.On this day I learned many things that I did not know about the New York City Fire Department. I heard the stories of how their performance on September 11th played and enormous part in saving tens of thousands of lives. I heard how they were running up the stairs trying to save people while the people were running down the stairs trying to escape. I saw the respect and love they all have for each other and the matter of fact way in which they approach their job. They love what they do and feel little to no fear for dangers that would certainly frighten most people.On this day I just missed being able to greet the Mayor but I did have the honor of shaking Fire Commissioner, Thomas Von Essen’s hand. I had a few conversations with a few people here and there, but most of all, I made a new friend. 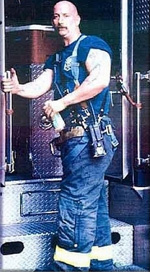 Fireman David Weiss.David Weiss was originally from Pennsylvania and always knew that he wanted to be a fireman. He became a member of the elite branch of the department, Rescue 1, a few years ago, following an extraordinary situation. 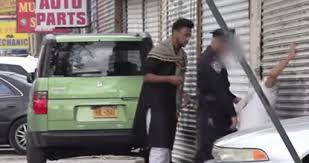 When traveling on the FDR Drive in Manhattan one day while off duty, he spotted a car sinking in the East River. He pulled his car over and jumped into the river, pulling the man out of the car, and brought him safely to shore. News of David’s heroics reached he department’s brass and David was promoted to Rescue 1. It was a dream come true for him to be in the top unit of what he knew was the greatest fire department in the world and to be able to do on the highest level that which he loved most. One time while Rescue 1 was working on a very dangerous situation David approached a fireman who was new to the unit. He told the fireman that he must be finding this rough as one of the new guys and that he would have no trouble taking over one of his shifts in order to help him out. The fireman agreed and David ended up working a double shift. Later on the fireman found out that David too was one of the new guys. This was typical of his personality. Loved by his family, friends, and coworkers, a person of David’s quality is very hard to find. Even with all this, the friendship I feel for him is different from any other that I know. Since I never met David Weiss.On September 11th, David’s unit was one of the first to arrive at the scene of the attack. He and his fellow firemen helped evacuate the buildings and guide many people to safety. Sadly, David was one of the more than 300 firemen that died that day heroically doing their job. The memorial service I attended this past Sunday was for David Weiss. The words spoken by those closest to him paint a very vivid picture of a man who although sadly died at a much too early age, died in the exact way he would have wanted. Not only saving lives, but saving thousands of lives. The words of these people made me feel as if I had gotten to know this man, and at the end of the day I felt as if I had lost a friend. Maybe the Mayor knew this would happen for some when he encouraged people to turn out. This was a display of unity and respect and even beauty in the midst of greatest sorrow. On a day when I was one of many to pay last respects to a dear friend. A friend I never knew. 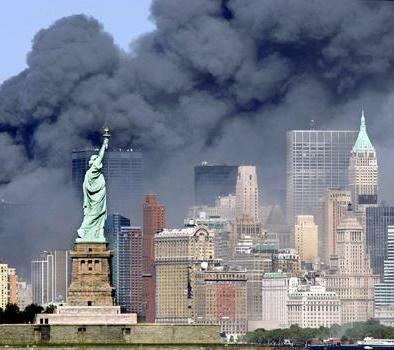 As we approach the anniversary of the 9/11 attacks I will be posting some of what I wrote on the days following September 11, 2001. The following I wrote within days of the attacks and was the first piece I wrote in reaction to what took place.